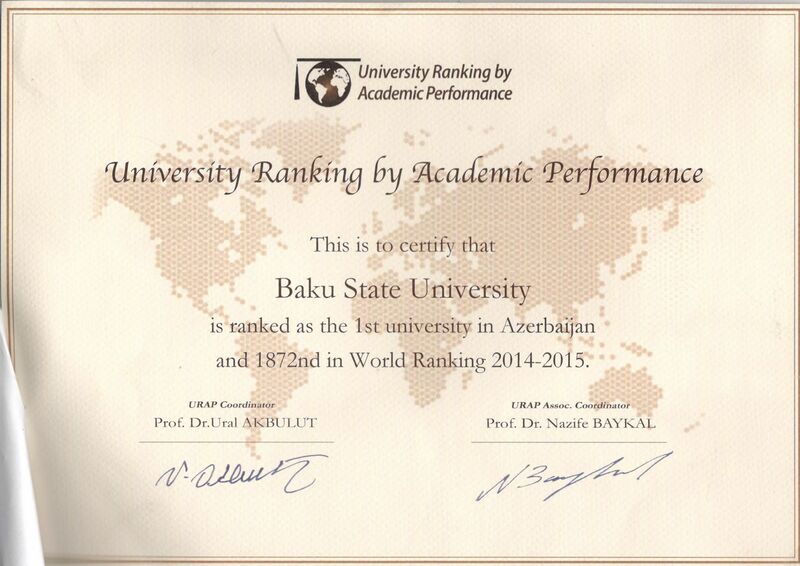 Baku State University is ranked as the 1st University in Azerbaijan and 1872 in the URAP 2014-2015 World University Ranking. URAP (The University Ranking by Academic Performance) was developed in the Informatics Instituteof Middle East Technical University. Since 2009, it has been publishing annual national and global college and university rankings for top 2000 institutions. The scientometrics measurement of URAP is based on data obtained from the Institute for Scientific Information via Web of Science and in Cites. For global rankings, URAP employs indicators of research performance including the number of articles, citation, total documents, article impact total, citation impact total, and international collaboration.